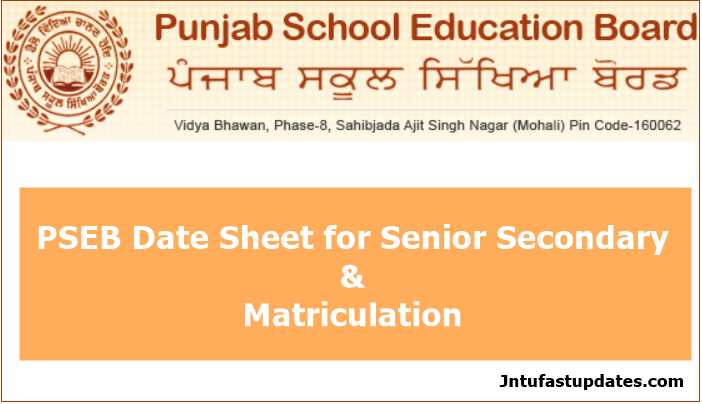 PSEB 10th Date Sheet 2019: Punjab School Education board has released Date Sheet for Matriculation (Including Open school) Exam March 2019. Candidates to download PSEB Matric Exam time table, go to the official websie: www.pseb.ac.in. Students are eagerly waiting for their PSEB 10th date sheet 2019. The punjab SSC/10th exam will be held from 15th March to 2nd april 2019. PSEB Procedure for examination: The exam was conduct in year students are enrolled in the examination then they get their roll no. or admit card after enrolling, students also can get the PSEB board date sheet and then students has to visit other school for exam rather than theirs own school the result was announce after a month of exam. Students can also get their admit card from their school. Admit card is mandatory for all the students for appearing in the examination. Exam controller is not allowed any students in the exam hall without their admit card. Students need to check all the instructions and guidelines of the examination and follow them strictly. 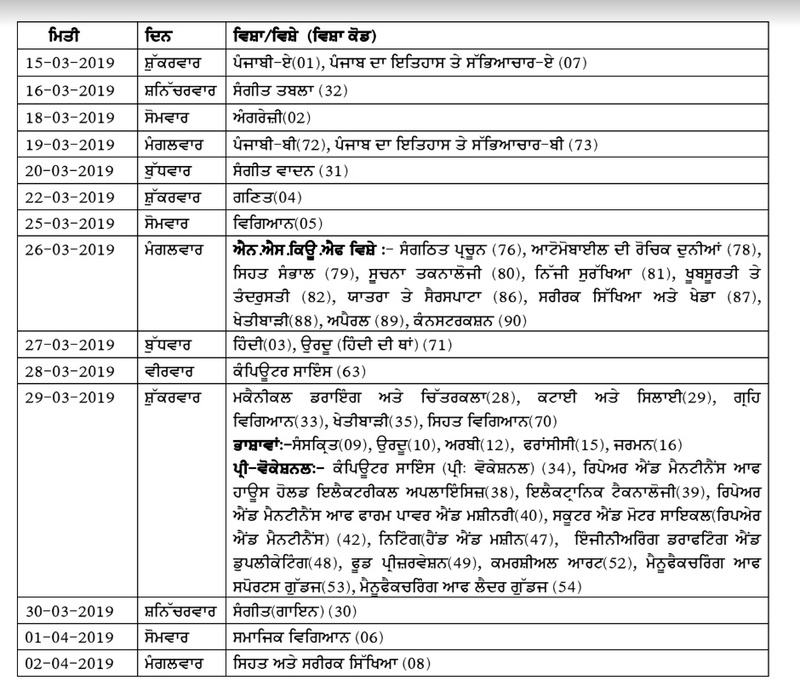 Students must to carry their Punjab Board 10th Hall Ticket 2019 on the date of examination. Open the link oin the PDF format. Punjab School Education Board is a famous Education Board of India. It was established in 1969 under Punjab State Government. Its Head Quarter is situated at SAS Nagar Mohali, Punjab. Various government and private schools are affiliated to Punjab Board. It’s Aim to provide better Education for students and increase the Education Level. The Punjab Board conducts both 10th and 12th Exam in the Month of Mar/April. The Result will be announced in the Month of May. Harman public high school my 10th study I am very happy. Congratulations matriculation paper of March.